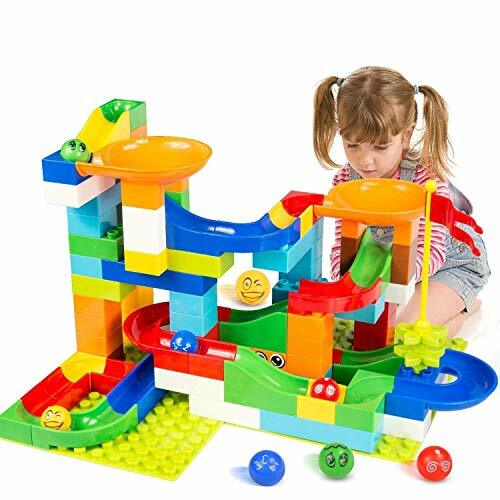 Meland Blocks & Marble Run Set includes 90 marble pieces and 16 marbles and 5 glass marbles. No fixed shape, kids can create models freely. Designs range from simple to complicate as you like. 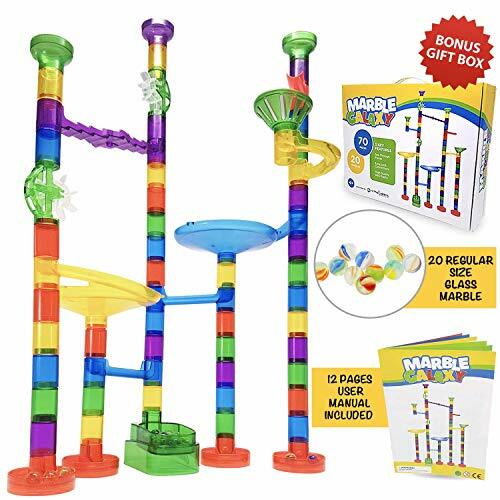 Kids will love seeing where the marbles run through next! 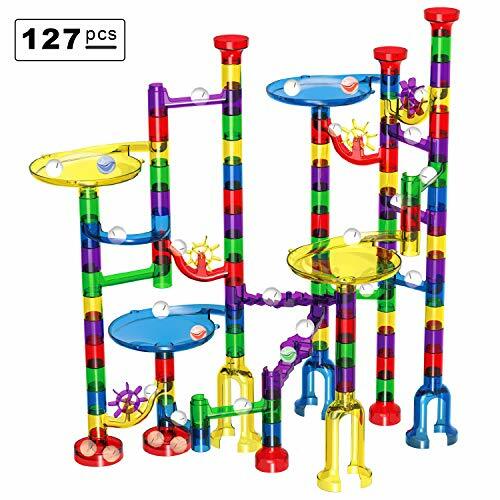 A Must-have Toy Gift for Kids: ❤Value package for flexible assembly choice and fun ❤Multiple tracks design for both challenge and amusement ❤Non toxic, smooth edges for children's safety ❤STEM learning and improve problem-solving skillsTarget Audience: Recommended for 4 + yr old kids, not for kids who like to put thing in the mouth Marble Run Blocks Toy Set Includes: 8 * base bottoms (16 Pieces Together) 47 * pipeline connectors 9 * Straight slides 2 * gradient slides 1* U-turn slide 4 * windmills (8 Pieces Together) 3 * Caps 4 * centrifugal funnels 16 * marbles (32 Pieces Together)5 * Glass Marbles Your kids will love to play with Meland Marble Run Toy Set! 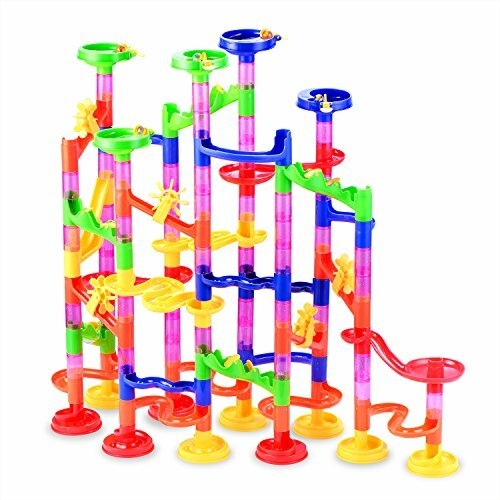 Use their imaginations to create different pipelines and watch the marbles go fast through the track! 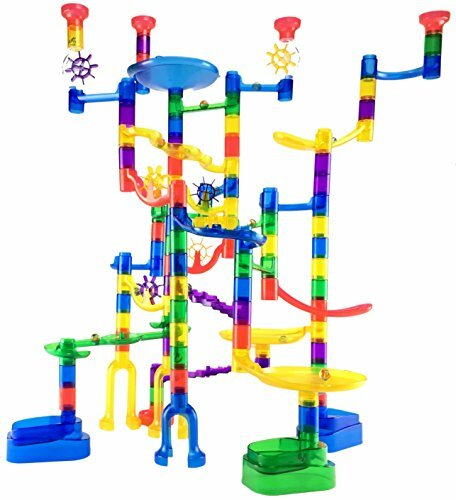 Develop their STEM skills and also enjoy their wonderful time with this building puzzle toy set! 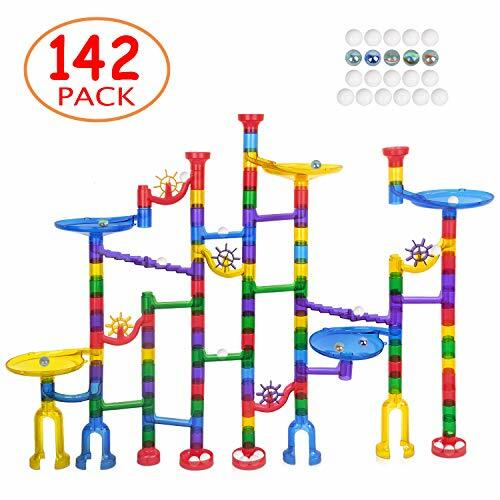 Meland Marble Run Set includes 105 marble pieces, 16 diy marbles and 5 glass marbles. No fixed shape, kids can create models freely. Designs range from simple to complicate as you like. Compared with other sets in the market, this new set adds more parts to help add more fun! 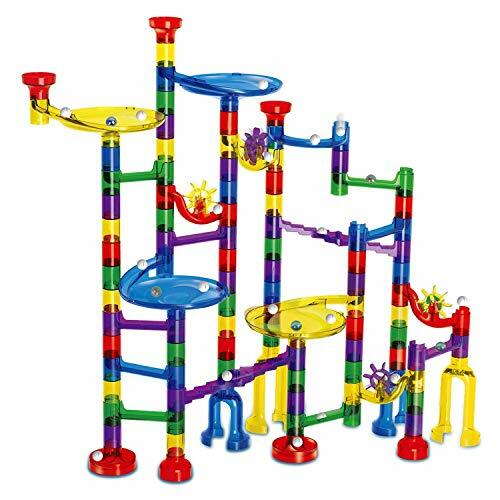 Kids will love using their imaginations to create different pipelines and watch the marbles go fast through the track! 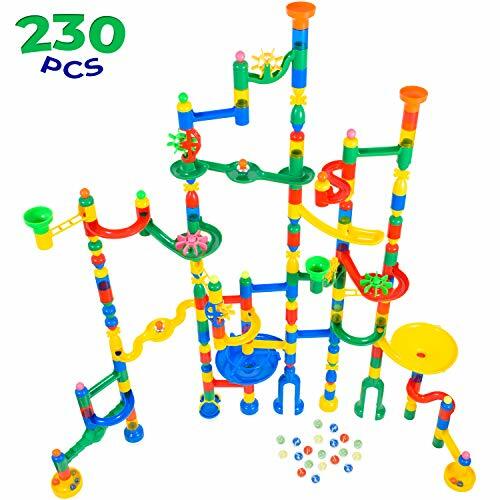 A Must-have Toy Gift for Kids:--Value package for flexible assembly choice and fun--Multiple tracks design for both challenge and amusement--Non toxic, smooth edges for children's safety--STEM learning and improve problem-solving skills Target Audience: Recommended for 4 + yr old kids, not for kids who like to put thing in the mouthMarble Run Blocks Toy Set Includes: 9 * base bottoms (17 Pieces Together) 54 * pipeline connectors 9 * Straight slides 3 * gradient slides 4 * U-turn slide 5 * windmills (10 Pieces Together) 3 * Caps 5 * centrifugal funnels 16 * marbles (32 Pieces Together) 5 * glass marblesRegular-sized marbles will works with Meland marble run set.